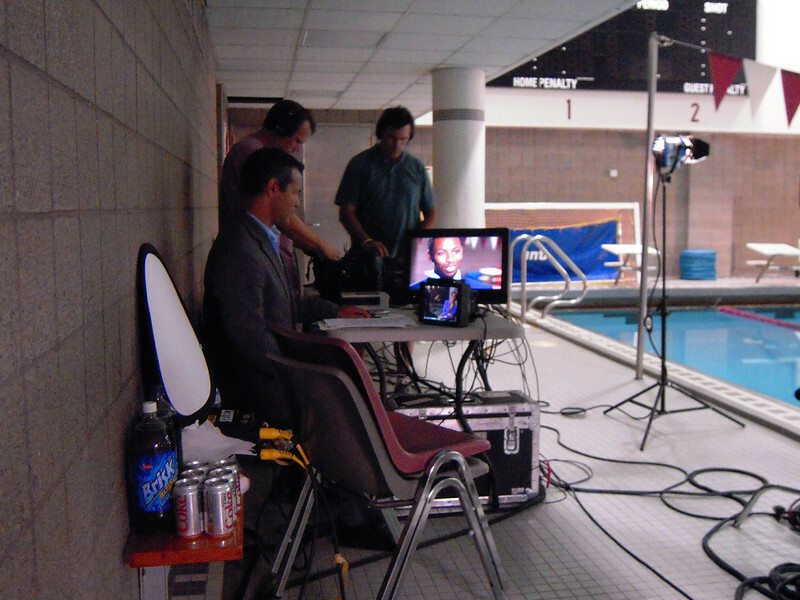 HBO was at St. Benedict's on Sunday, August 30, to produce a portion of this month’s "Real Sports with Bryant Gumbel." HBO's Mary Carillo spent a few hours at The Hive interviewing Olympic Gold Medalist Cullen Jones '02 for a segment on "Real Sports" that will air at 10 p.m. on Sept. 15. HBO's film crew spent the entire day capturing scenes of Jones and his mother, Debra, who had a face-to-face interview with Carillo. Jones then took a dip in the pool where he swam for the Gray Bees, while an HBO cameraman donned scuba gear to get footage of the Olympian with an underwater camera.